Caption slip reads: "Photographer: Snow. Date: 1960-01-08. Reporter: Newman. Assignment: Boat Show. 63/64: L/r: Sue Tangen, Adele Robman, on cruiser. 97/98: Carol Lawson. 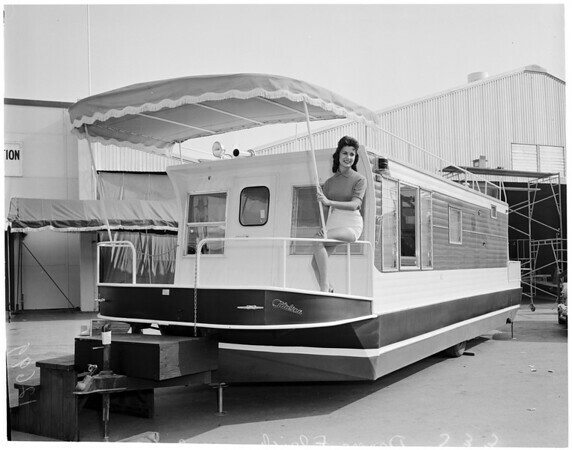 33/34: Donna Elrich on house boat".